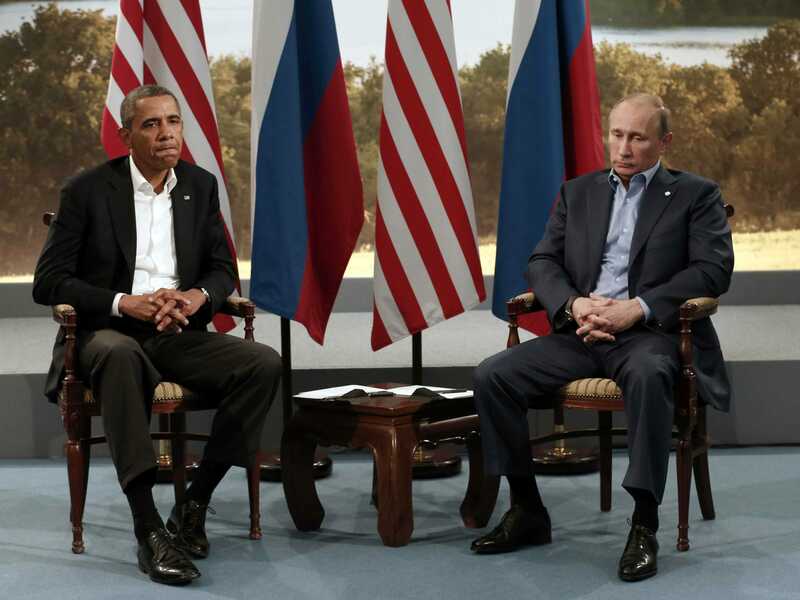 The Death of the Pax Americana: Obama the Realist? The Westpoint Speech delivered by Barack Obama was certainly one that was necessary and one which directly addressed the burning question for some; namely what is the United States’ new role in the world both as a political and military force? For many the question remains unanswered or the speech to them lacks a convincing amount of information to truly figure out the motives of the Obama administration within the halls of the White House. Obama’s conduct has been misconstrued at times, confused and to many uncertain particularly given the ‘red-line’ scenario that nearly unfolded in the wake of the chemical attacks in Syria, August 2013. Military action was strictly ruled out by voices inside the military, Congress and that of Russia, China and the international community. The ghosts of the Bush administration aggressive foreign policy very much remain in the minds of Western politicians and U.S public. Thousands of American lives have been lost, billions of dollars wasted in questionable conflicts. The West has renounced its rights to intervene in Middle Eastern affairs since the defeat in Iraq (what else was it?) and the continued slaughter in Afghanistan from which the United States and the UK are ejecting from in late 2014 (by-enlarge). In normal times Obama’s thinking and words would have been considered a merit amongst many, the media, and the world. Unfortunately these are not normal times. The 2nd Ukrainian Civil War (what else is it?) or as Kiev would have us call it ‘counter-terrorism operations’, between the pro-Western government and pro-Russian seperatists has shook Eastern Europe and relations between the Russian Federation and NATO are at their worst since the end of the Cold War. This is coupled with the increased tension between Japan and China over territorial disputes in the South-Asia Pacific Region and the chaos in the Middle East where unchecked regional aggression threatens to boil over into a far more serious regional conflict. The Arab Spring is static in the bleakest of mid-winters. Then there is the infamous ‘War on Terror’, a conflict against insurgent groups across the globe, a threat of which has increased in the blood-shed across the Middle East and Africa. The latter has witnessed the alarming rise in extremist Islamism, most notoriously Al-Shaabab and Boko Haram who cut a swath through Somalia, Kenya and Nigeria in a wave of suicide attacks, kidnappings, mass-shooting, and drug trafficking whilst recruiting disenchanted youths to their largely unholy, extremist cause. Yes, these are anything but normal times. The 9/11 decade has re-shaped the 21st century and Obama is in an unwinnable situation of suffering from the mistakes of the Bush administrations violations of international law (though Obama has committed a few violations himself) and the worst recession since the Great Depression of 1929. Undoubtedly the Obama administration has made key mistakes that make it a target for criticism. Guantanamo Bay, a focal point for criticism of the previous White House administrations remains open, even though Obama promised it would be shut down. Likewise his economic policies have not taken off as they would have liked as the U.S buckles under potentially ruinous debt in its trillions. Nor can his response in the Syrian Civil War encouraged onlookers that they can look to the USA for support, even it is in a package bundle of $5 billion. Afghan and Iraq security forces hardly gave anyone conviction that they could secure the new ‘democractic’ beacons created by the USA, UK and NATO. However in regard to U.S foreign policy in the last decade the criticism of their neo-imperialism, interference, non-conformity to international law and militarism reached an absolute crescendo not witnessed since Vietnam. To continue a staunch military stance and use bellicose words such as Bush did in the wake of 9/11 would only further many’s disdain for the United States’s foreign policy. If anything Obama is attempting to collect the pieces of a now redundant foreign policy option. Obama is not at odds with former presidents foreign policies in regard to interventions. When George Bush Senior invaded Somalia in the 1990s and Clinton continued the U.N operation how did they fare? They merely undermined the U.N mission and single-handedly scapegoated the United Nations for their hot-headed unilateral operations absent regard for U.N regulations. Somalia remains a desolate region, conflict unresolved and Al-Shaabab has only strengthened. Did Clinton halt the Rwandan genocide in 1994 which completely destabilized the region, which in part still suffers twenty years on? When Clinton administration did intervene along with NATO in the Balkans in the 1990s during the Bosnian Civil War, they intervened only when it was too late and drowning in evidence that suggested they could have and should have intervened sooner. The victory over the Serbian nationalists was glossed in blood, a Pyrrhic victory. We don’t even need to go into the end results of Lyndon Johnson’s decision to invade Vietnam and the cost for both South-East Asia and the United States politically, militarily and economically. Besides that the United States has never intervened to directly halt genocide so Obama is not acting different to what other president’s do, whereby he promotes national interest above that of other countries across the world. It is how American foreign policy, however ‘exceptionalist’ or questionable, has largely operated since it assumed leading power role in 1919. When the United States sits backs, we cry cowardice, uncertainty or retreat, evading responsibility yet when they attack we cry war-mongers, militarism, interference, and state that the United States over-reaches. It is one of the most complex arguments of the international arena. The United States is, along with the Russian Federation, by no accounts is in any shape or form doing its best to remove the sting from the Ukrainian crisis. Both sides are equally culpable in pushing Ukraine towards civil war. The leaders of both the United States and the EU have turned a blind eye to the dangerous elements within the interim Ukrainian government which have to be isolated whilst Putin has quite obviously, even if Crimea is historically a monument to Russian nationalism and predominantly Russian, flouted international law. What we are witnessing in the 21st century is a marked decline in the idea that reciprocal hegemony and liberalism in international relations are realistic. It is an unrealizable dream, a dangerous illusion, that politics like human nature is rooted in self-interest, and self-centered objectivity and most big powers players will do anything to hold on to their position on the international stage. Unilateral power-politics either of a military or arbitrary nature still and probably will always trump economic and soft power. Critics of Obama state that he is de-facto abandoning Ukraine, and that in short only U.S interests, core interests and that of NATO are of primary concern to the United States, that the U.S.A has become in foreign policy as uncertain as it has ever been even weak, a slumbering giant when the right are adamant that this is a time in which the United States should be at its firmest abroad. Ukraine is of our concern undoubtedly, but realistically what can military force do in Ukraine but enrage the Russian Federation and push us closer to the unimaginable? Ukraine, though a borderland between western and eastern Europe, lies within Russia’s sphere whether the most uncertain of European Union’s would like it or not. Besides that as stated in previous articles the West and the United States lacks both moral and economic leverage with which it can use full capapcity to influence what happens in Ukraine. Nor can we rule out the geographical military advantage Russia possesses unless you bring in the quite ludicrous consideration of nuclear missiles. The use of military force is not necessarily always the correct solution to a civil war or a military crisis. If Obama pulls off a deal with Iran, his critics will fall silent. You can have a Plan A whereby invasion and deployment of troops is done effectively and the war is won. The problem is as seen in Iraq, Somalia and Vietnam; an effective Plan B, C, and D were lacking. What do you do afterwards? How do you calculate how a population reacts to occupation under foreigners who we may have no cultural affiliation or understanding of and with? How do you consolidate victory in modern war and conflict, when concepts of insurgency and terrorism is entering a new phase? This is something that even a giant, be it Russia, the United States and China, would struggle with at varying degrees as traditional military conflict is a dying entity and containing a occupied population fraught with more difficulty than ever before. Obama highlights this at West Point referencing the power of the individual in the modern world. It can vary from it most volatile to 9/11 and further illustrated by Woolwich, 7/7, Mumbai, Madrid, Volgogrador simply social media, a click of a button, the power to express yourselfat your fingertips in the form of a keyboard. It has never been an easier time to express your opinions no matter how moderate or radical. This is a very difficult thing for states to fight, which is both a good and bad thing as a pardigm must exist between a state and civilians where mutual interests are respected (the world’s most difficult balance). Certainly the U.S and Obama are reacting to events rather than preparing for them and the mistakes of the administration are laid bare for all to see. The reversal in Syria springs to mind as does the contradictory statements coming out the White House that Al-Qaeda is a vanquished organisation whilst at the same time a ‘hydra-headed entity’. Extremist Islam has never been so powerful despite its civil war. There is a degree of uncertainty which leaves John Kerry undermined as an identity crisis engulfs Washington D.C. The United States is less of a democratic entity then it ever was and it has tightened under the Obama administration. Obama’s extension of the Patriotic Act in 2011 and the capabilities of Homeland Security to stamp down control as seen in the aftermath of the Boston Marathon Bombings, the use of drones to kill civilians, contentious targets and even Americans if need be are an emphasis upon how the United States image and policies have shifted since 9/11. We cannot forget Edward Snowden’s revelations (also likely a confirmation of what many suspected) of the NSA’s worst excesses which include spying on its own people and its NATO allies in a global mass surveillance program. All this amounts to a clear fact, the United States has the capability to impose itself if it so wishes on the global stage and for its rivals to risk affecting their interests and that of their allies is one that they do at their own peril. The eagle has undoubtedly receded in influence across the areas of the globe, and has been weakened both by the Bush administration war crimes, criminality and impunity to international law and in some cases by Obama himself (though he does not admit it which is a mistake). Enemies will exploit what they see as the lack of a resolved United States to meet their local and regional objectives. Obama is correct in most cases in showing restraint, favoring diplomatic resolutions and preferring dialogue to violence as realistically public opinion, world opinion by-enlarge, has shifted strongly against U.S foreign policy. The Pax Americana is over joining the ‘New World Order’ dominated by America which died in the 1990s under Clinton. Obama may as much be a cause of the former’s demise as anyone and that is the debate of the now. The Pax Romana under Imperial Rome only lasted so long. The United States and the Obama administration are victims of their own history and mistakes. The United States has multiple enemies, perhaps more than anytime in its history and it cannot fight them all individually. Many an empire has fallen victim to history treading too boldly and overreached arrogantly believing themselves too great to fall be it the Romans, Tsarist Russia, the British Empire, the Aztecs, the Mongols, the Third Reich or Napoleon, even the Soviet Union, nor did any fall in a day or year for that matter, they crumbled over time piece by piece until they succumbed. Obama’s speech at Westpoint was correct in many ways; the United States is far from a defeated or losing influence, but its ‘superiority complex’ is under threat and being questioned like it hasn’t been before this decade. Is the receding of American dominance a bad thing or welcome for now? Only time will tell. The United States has spited its own face in recent years and have had, to some extent, their hands tied by other international players, events and circumstances big and small. What we see as weakness on Obama’s part for failing to maintain the standard hegemony should be taken as a dose of realism. America, though irreplaceable in the international theater, must have its limits and restraints in the 21st century.